Zincbeats is pleased to announce the release of the City Life Riddim , the first new project from legendary Jamaican dancehall producer, manager, EMI-signed writer and musician Jeremy Harding's 2 Hard Music label in several years. 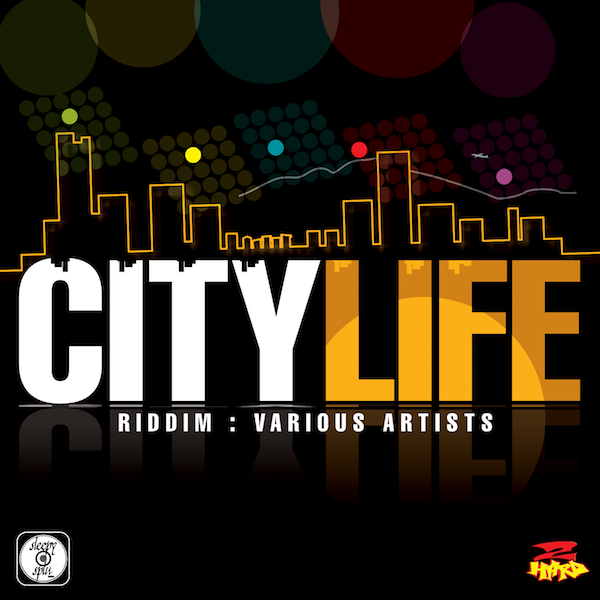 The City Life Riddim is a quality release that will remind all of us of the potential of Jamaican music- no slackness, no almshouse, no guns or gangsterism, just party fun and conscious tunes on an extremely well produced modern one drop riddim. The City Life Riddim is available as of today on leading digital retailers worldwide, including the Apple iTunes Store, Amazon.com , eMusic, Rhapsody, Napster, the Microsoft Zune Marketplace and more. Jeremy Harding and his 2 Hard camp came to prominence in Jamaican music in the latter half of the 90s, breaking multiple dancehall acts and crossing over into the mainstream charts. Sean Paul’s “Infiltrate” and Mr. Vegas’s “Nike Air” on Harding’s Playground riddim first brought the producer and these artists to the attention of the dancehall audience, but the subsequent release of Beenie Man’s “Who Am I” (aka “Sim Simma”) catapulted the 2 Hard Label into the global arena, the Billboard charts and gold record sales. 2 Hard continued the string of hit songs and riddims up through the early 2000s, serving as the vehicle for Elephant Man, Ce’Cile, Tanto Metro & Devonte and a host of other new talent to establish themselves in the dancehall marketplace. At the same time, however, Harding was hard at work as the manager for soon-to-be international superstar Sean Paul, whose career he continues to oversee. Zincbeats LLC is a boutique record label, music distributor and entertainment management company operating out of Kingston, Jamaica and south Florida. Zincbeats focuses on providing a broad range of services to a select group of clients. Current partners include 2 Hard Music, Cleveland "Clevie" Browne and Steely & Clevie Productions, Mystic Urchin, and Riverstone Records / Rootz Underground. Purchase City Life Riddim on Amazon or Itunes.